We always find that checking out local independent restaurants when we travel is one of the best ways to savor the flavor of a particular location. 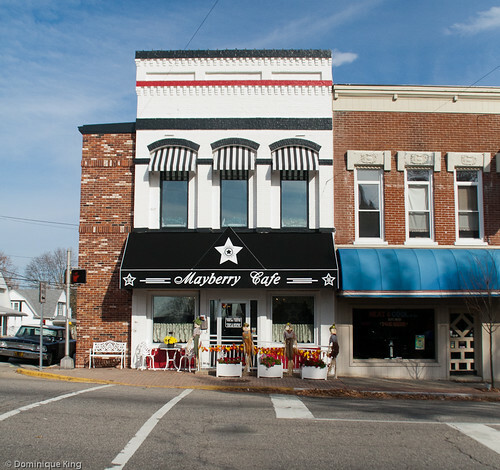 Check out a couple of great hometown eateries we sampled during our recent visit to Hendricks County in Indiana. Looking for some real home-style cooking and atmosphere? 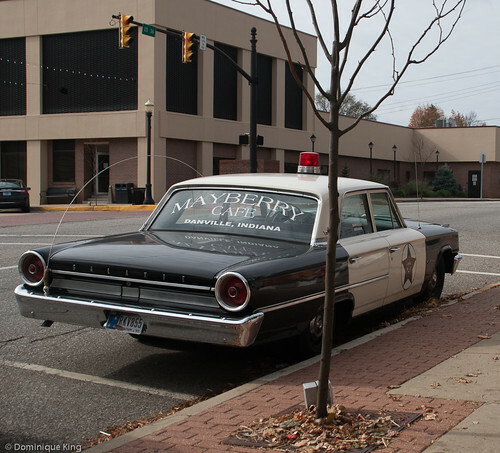 Head to the Mayberry Cafe, just north of the Hendricks County Courthouse Square in downtown Danville. You can't miss the place as a lovingly restored 1962 Ford Galaxie sits out front, as if Sheriff Andy Taylor just dropped by for a piece of apple pie. 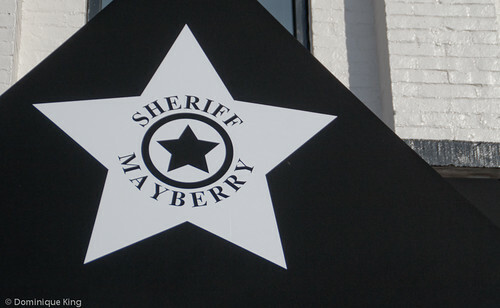 Opened in 1992 by Brad and Christine Borne, the Mayberry Cafe is a tribute to all things Mayberry, the fictional town featured in the favorite 1960s sitcom, The Andy Griffith Show. The show told the story of a widowed sheriff of a small fictional town in North Carolina who was raising his young son, Opie, with the help of his spinster Aunt Bee and a cast of sweetly bumbling characters. Even when it originally ran in the 1960s, the show portrayed a nostalgic look at an innocent past. Today, the show continues to have dedicated fans who grew up in the 60s, or who remember the show in its countless reruns that even continue today. 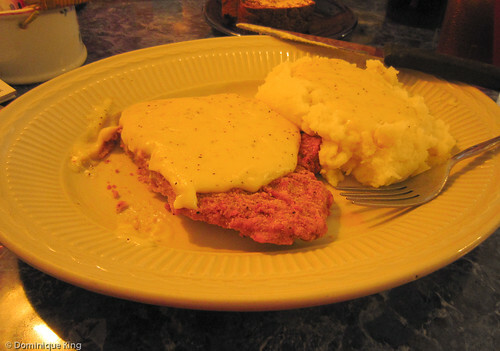 Televisions throughout the restaurant play endless loops of the show's episodes while diners enjoy a menu of Southern-style comfort food like fried chicken, chicken fried steak, meatloaf, tenderloin sandwiches and, of course, apple pie in a homey setting. It's definitely a family-friendly place as the owners carry out the Mayberry theme with a small toy or free sundae for kids who clean their dinner plates and contests like an annual Opie look-a-like contest or goofy hat nights when diners wearing crazy hats in homage to another Mayberry character, Goober, can enter a drawing for a free dinner. The restaurant memorialized actor Andy Griffith's death at the age of 86 earlier this year by serving dinners free slices of "Aunt Bee's apple pie". 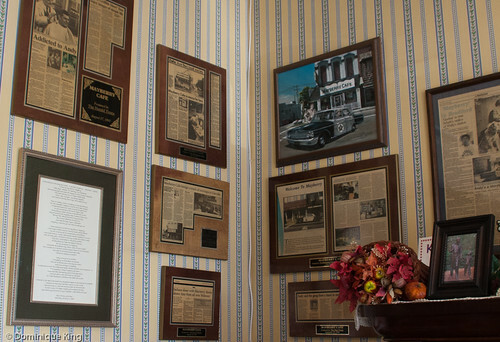 We had fun browsing through the restaurant's collection of press clippings and photo gallery of "Opies" in the restaurant's lobby. The restaurant also has a dining area upstairs, for a total seating capacity of 150, and plenty of parking on the street or in a lot behind the restaurant. Hours are 11 a.m. until 9:30 p.m. Monday through Thursday and 11 a.m. until 10 p.m. Friday and Saturday. Bottom line-Great themed atmosphere, home-style food and family-friendly fun. This one's a do-not-miss for fans of the television show and perfect for a homey lunch or dinner. 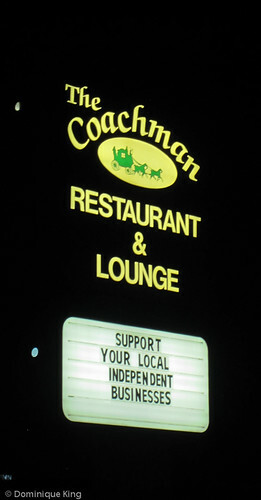 This is a classic steakhouse in Plainfield, out near the airport, and the family-owned restaurant is a welcome sight among a number of chains and fast-food places. Owners Larry and Becky Paynter previously had a similar restaurant called Coach and Horses Restaurant and Pub in Indianapolis, but opened this location to expand on their original concept. They celebrated the restaurant's 23rd anniversary earlier this month. We dined there on a Sunday evening night as a large group of Indianapolis Colts fans celebrated their team's win earlier that day. The restaurant was plenty large enough to accommodate a larger group, as well as several couples enjoying a quiet Sunday evening supper. 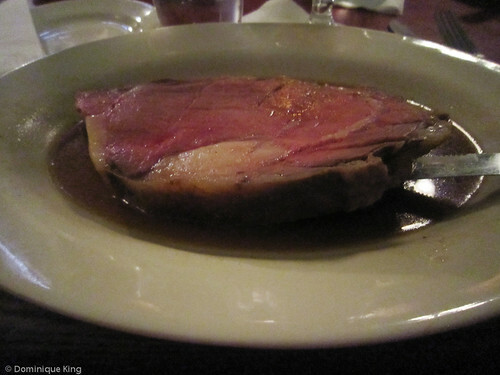 We opted for the prime rib, which is a specialty of the house, and available in a 12-ounce cut, as well as a smaller 8-ounce cut. Our server was especially friendly and helpful with giving us tips about how to get around town and things to do when she found out we were visiting from the Detroit area. Hours are 11 a.m. until 10 p.m. Sunday through Thursday and 11 a.m. until 11 p.m. Friday and Saturday. The Lounge is open until midnight through the week and until 1 a.m. on Friday and Saturday. Bottom line-Great prime rib, cold beer and friendly service made the meal for us. Nice for a hearty dinner or for a late-night drink. Thanks to the Hendricks County Convention and Visitors Bureau for sponsoring my visit to Hendricks County, providing lodging, meals and a tour of Hendricks County attractions for my review during my recent visit there, with no further compensation. I was free to express my own opinions about the stay and experiences, and the opinions expressed here are mine.